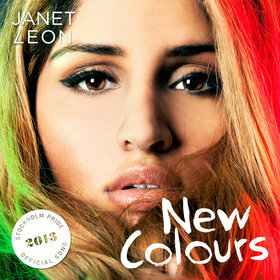 The song representing Stockholm Pride 2013, “New Colours”, is co-written by Jörgen and recorded by Janet Leon. Stockholm Pride is held July 30 – August 3. This year’s artist is Janet Leon whom also is one of the co-writers of the festival’s, the largest in Scandinavia, official song. Lisa Desmond and Jesper Jakobson.